For a home in the area of Ladiesburg, the need for waterproofing is no different. This unincorporated community located in Frederick Country resides right along many small bodies of water, creating major flooding issues when heavy rainstorms hit the area. Because of this, many families have been affected by the abundance of water that enters their homes. Therefore, it’s important to understand the causes of a leaky basement and the damages it can cause to your property. If you recognize any of these issues in your Ladiesburg home, the best course of action would be to contact a basement waterproofing contractor. An expert can help you with basement waterproofing your Ladiesburg home, and make sure that no water is allowed to enter the property. Failure to waterproof your basement can result in major damages, such as discoloration of wallpaper and paint, and damages to valuables and furniture. The growth of mold is also something of major concern, since its spores can cause serious respiratory problems for you and your family. The damages found in your basement can also find its way to the ground floor of your home, causing even more problems. Therefore, it’s important to hire an expert to inspect your property and make sure it’s waterproof. Basement waterproofing your Ladiesburg home means eliminating any entrance of condensation and runoff, the two most common reasons for a leaky basement. Condensation, also known as sweating, occurs when warm and moist air comes into contact with cool and uninsulated foundation walls and pipes, resulting in the formation of water droplets and wet spots. These water collections can damage the materials holding your house together, and support the growth of mold. Runoff will occur as excess water flows its way down into your basement. While basement waterproofing your Ladiesburg home, an expert will help shape the ground your property so that water cannot flow directly towards your home. With that being said, it’s important to hire a basement waterproofing company that specializes in this subject, rather than some general contractor. 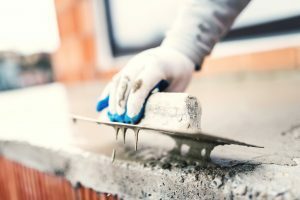 A full-service waterproofing specialist will offer various methods to combat your problem, including external excavation, window well drain installation, exterior foundation crack repair, interior weeping tile system installation, sump pump installation, and polyurethane crack injection. While many general contractors may offer these services, they will not have that total and complete knowledge on the basement waterproofing process. Basement waterproofing your Ladiesburg home means that it is 100% waterproof, no exceptions. When dealing with basement waterproofing contractors out of state, they are most likely not aware of the local conditions that can affect you and your neighbors property. They can provide a solution that might seem effective, but their lack of knowledge on the area may inhibit their plan and cause it to fail. The best course of action would be to hire a basement waterproofing company in the Ladiesburg area. With over 28 years of experience, in this area, let our family-operated basement waterproofing business help you fix your problems today.